Last week I mentioned the new Islay Community Access Group website. Since then the Work in Progress page has been updated. 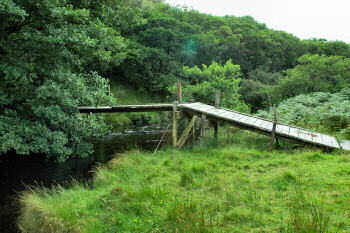 It holds many fine examples of improvements for access to Islay's beautiful countryside. This includes a new bridge over Margadale River (scroll to Bunnahabhain - Rubha a’ Mhail and check out the pictures), but also other improvements like the new car park at Bridgend Woods. A lot of great work being done here with limited funds! Thank you!